Meet Marianne Jeffrey! One of Cotton Cuts Classic Box Brand Ambassadors! I have been sewing since I was a teenager. I did Textiles and Designs in high school and my mom bought me a singer 99 sewing machine from the local secondhand shop to sew with. I sewed mostly clothes until I began quilting in 2012. 2. How did you learn to sew? My mom and my high school Textiles & Designs teachers taught me the basics, then most other basic sewing skills I learned through trial and error. Now I love Youtube, it is a great forum for learning skills specific to quilt making. 3. What is your favorite thing to sew? My favorite thing to sew is throw quilts between 50" and 60" square, because I use that size a lot to snuggle up under on the couch in winter. 4. What is your favorite thing about sewing? My favorite thing about sewing is seeing a finished project after spending many hours designing it and then sewing it. The sense of achievement is astounding. 5. What is your favorite item you have ever sewn? My Adventurously Epic Sampler king size quilt. It was a project that took me about 5 years from the design process to making the quilt and then publishing the book. 6. Share something interesting with us? I began quilting after a nearly fatal pulmonary embolism in 2012. It was something I had always wanted to try but thought I would do it when I retired. But that embolism taught me that tomorrow is not guaranteed. 7. 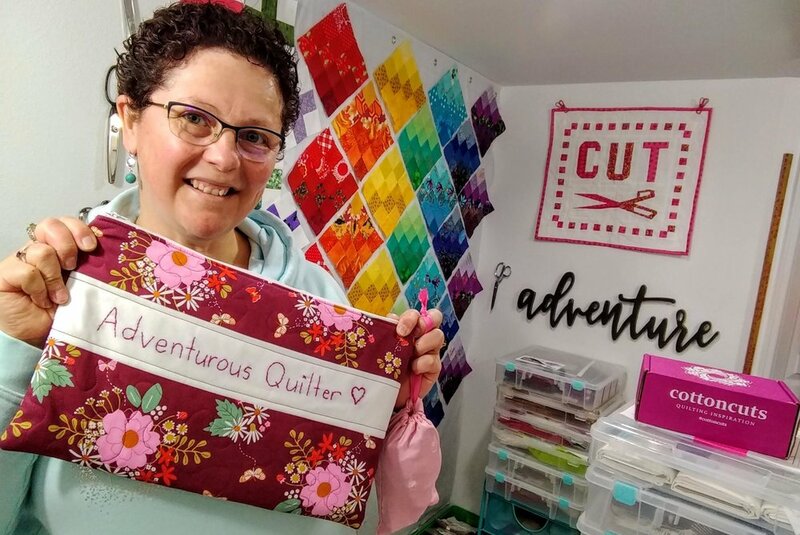 What do you love about your Cotton Cuts Subscription Box? The quality of the fabrics! The way the fabric arrays build from month to month because each box has pieces that work well with fabrics from previous boxes. The excitement of opening my mailbox and seeing that cute box in there each month and knowing it holds many hours of joy. 8. Please feel free to go follow Marianne Jeffrey on social media!! Newer PostPictures That Should Be Quilts- Geometric Rainbow Unicorn - National Unicorn Day! Older PostCotton Cuts donates 65 Quilts to Children in Need Through the Linus Project.